For anybody who love outbound traveling, you must have the problem of language obstacle. And for anybody who often go on international business trip, you might not able to soundly exchange ideas with your partners once your translation assistants is not on the spot. Do you know you can change this just by using an earpiece?. 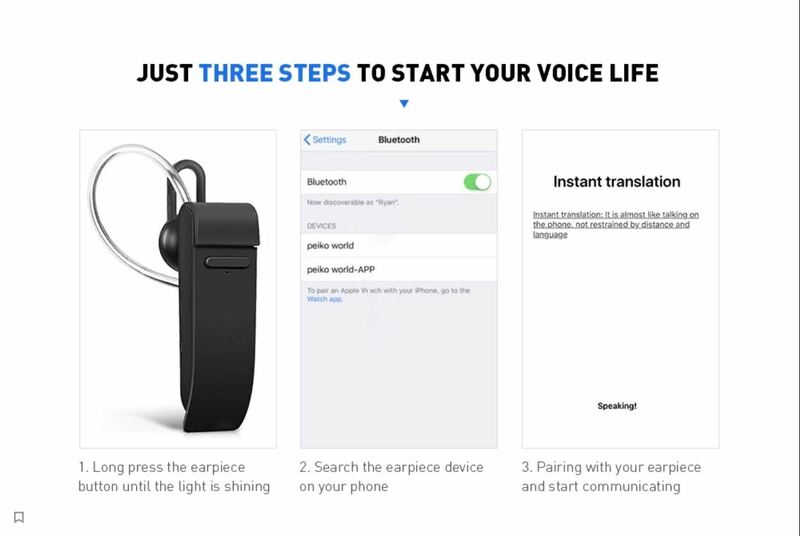 This earpiece is so smart that it can help you a lot by doing voice real-time translation. 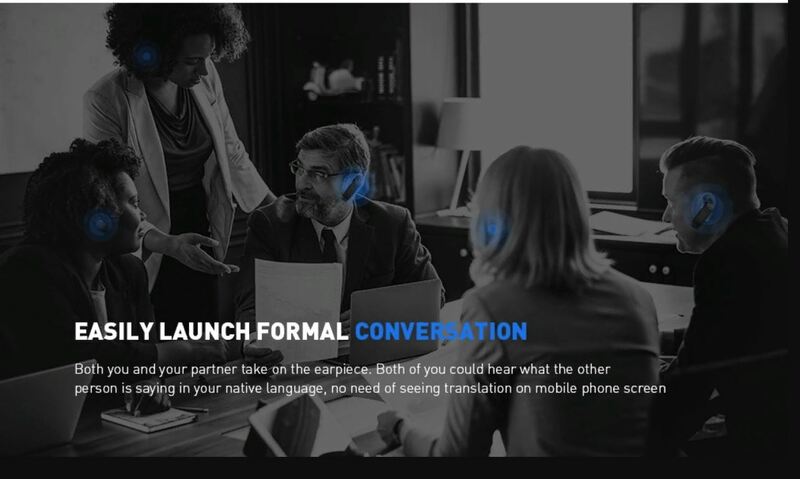 Using this earpiece, you could hear your interlocutor’s words in your own language, and what you says could be displayed automatically on your mobile phone screen in your interlocutor’s language. This earpiece is such a helper. The Translator Single Bluetooth Wireless Headphone comes in three different colours black, milk white and denim blue. This headphone is made of an ABS material. it is embedded with a DSP noise reduction technology to deliver crystal clear voice without the distraction of background noise and also delivers clear midrange and treble sound with rich powerful bass. 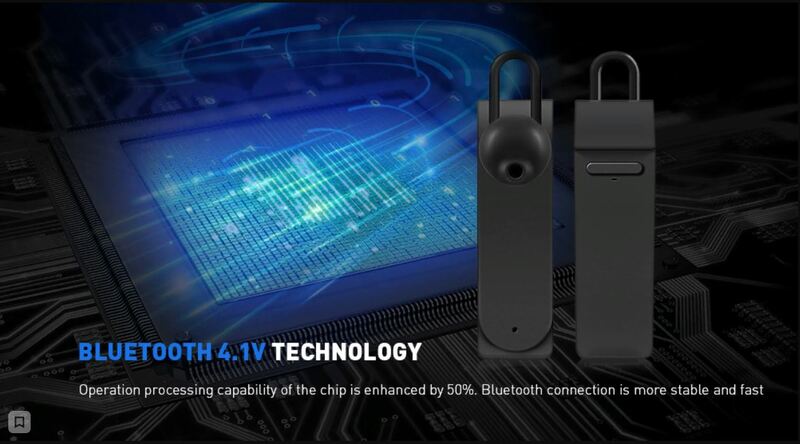 This headphone is made to connects with most Bluetooth-equipped mobile phones, like iPhone, Samsung, etc. Interestingly it has Two communication modes which is the ask mode and auto mode. Ask mode requires only one earbud and useful for simple conversations ( like asking for directions ) while the Auto mode requires two earbuds ( each person wears one ) for absolute hands-free communication with no distance limit which makes this headphone a must have for individuals. 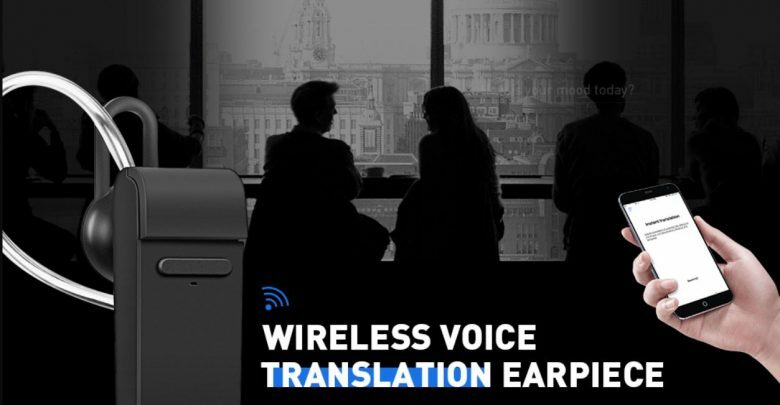 The Translator Single Bluetooth Wireless Headphone can translate 16 languages ( English, Japanese, Korean, Russian, French, Thai, German, Italian, Arabic, Spanish, Danish, Swedish Finnish, Finnish, Dutch, Portuguese. It has a built-in 90mAh Li-ion Battery to serve you better. The Translator Single Bluetooth Wireless Headphone is currently on sale at Gearbest for $28.39 .